INGREDIENTS: Organic Cardamom, Organic Cinnamon, Organic Cloves, Organic Cumin, Organic Black Pepper, Organic Coriander. 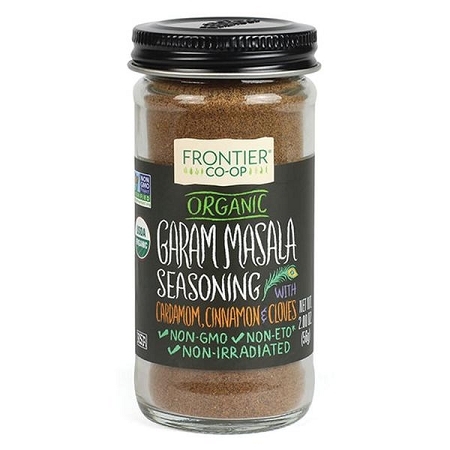 ABOUT: Garam Masala, popular in northern India, is a warm mixture of spices. Recipes for masalas vary according to region, as well as the individual cooks, who often concoct a new masala for each dish as needed. This rich, slightly sweet blend will save you that step and still deliver authentic Indian flavor.